“Is the theater really dead?” asked Simon & Garfunkel once upon a time. Forty-five years later, and at the height of the movies’ annual silly season, one might well ask the same of the cinema. Whither the great American movie? Whither directors of integrity and vision? Whither criticism? 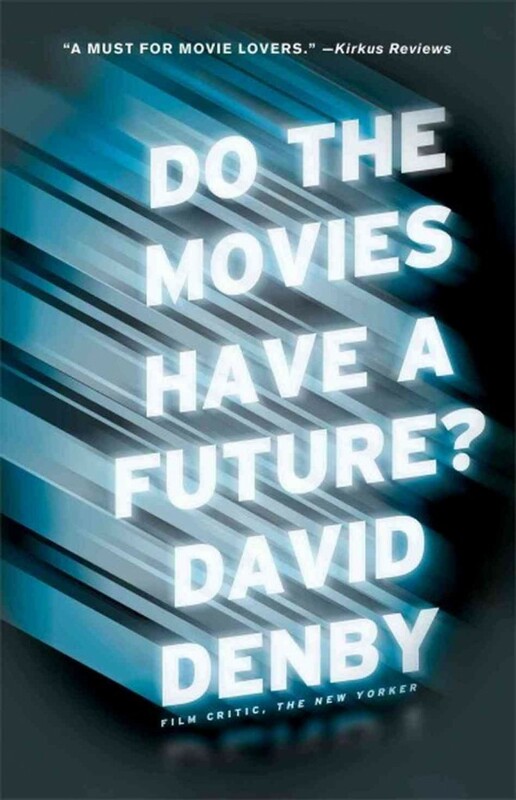 These are the questions David Denby poses in his excellent collection Do The Movies Have A Future? (Simon & Schuster, 2012). It’s mostly reprints of his New Yorker articles but reworked and reordered to orbit his central worries. These include so-called “conglomerate aesthetics”, the notion that it’s “not only possibly but increasingly easy to attract audiences by making movies badly”, the loss of lyricism in the rise of digital cinema, and a decline in ethical seriousness in criticism. Sound grim? Worry not: Denby’s no wallower. Alongside sharp critiques of the movie industry as it currently stands are a series of lucid, sometimes rapturous readings of a selection of the greatest recent American movies, including Capote, The Tree of Life, Winter’s Bone, The Social Network, and (to my mind the best) There Will Be Blood. In the book’s final pages, we even find Denby an unlikely advocate for 2011’s Rise of the Planet of the Apes. This isn’t stuffy stuff; Denby is a voice of reason in a culture that has come to accept the infantilisation of adult cinema-going tastes. “The language big movies are made in,” Denby writes early on; “the elements of shooting, editing, storytelling, and characterisation — is disintegrating very rapidly and in ways that prevent the audience from feeling much of anything about what it sees.” This was written in 2001, but his vision of what he calls “conglomerate aesthetics” is truer now than ever. It’s an industrial thing, yes. The marketing of huge, imperial movies to a generation of (mostly) men existing in a state of prolonged adolescence. The obsessive focus on the sure thing at the expense of smaller, “artier” films. The preponderance of superheroes, monsters, and other digital aberrations. But at an elemental level, it’s also a grammatical thing. The way films are shot and cut is self-evidently pivotal to how they’re interpreted, and Denby argues that changes in cinematic method can be harmful. The replacement of “action and drama” with “mere movement” is what’s at stake here. Action movies in particular have very little regard now for spatial integrity or the basics of continuity editing. One recalls the total absence of geographical logic at the heart of Christopher Nolan’s The Dark Knight Rises or the manic, absurd traverses of Metropolis in the climax of last summer’s dismal Man of Steel. Even in movies with budgets under $150 million, almost every post-Bourne fight scene has become little more than a kaleidoscopic flipbook of semi-perceived action. It is a period in which a good part of the press — and even many of the bloggers — has been absorbed into the marketing effort for movies, and regard anything that isn’t pop as “elitism,” thereby identifying with corporate interests in the guise of populist fervor. With moviegoers increasingly subsumed into the marketing process through their social media use, the importance of both dissent and intellectual rigour in criticism cannot be overstated. Denby laments in particular the loss of Pauline Kael, an early mentor and advocate, who remains perhaps the most famous and most important American film critic. (For an excellent collection of her work, check out The Age of Movies.) With Kael, Denby says, “the point was not to write like a lowbrow; the point was to write as an intellectual without closing the top button of your prose and thereby choking a strong, easy breath.” It’s a simple but splendid metaphor, of a kind that permeates the whole book. Elsewhere, he writes of “the flagrancy, the jack-rabbit creativity, and the self-destructive whirl of unhinged pop scholarship” that define the early Coen brothers movies. As an actor Russell Crowe is “like King Kong breaking his chains,” while Paul Dano, in There Will Be Blood, “looks like a mushroom on a long stem.” The Tree of Life is “an art-history Summa Theologica crossed with a summer camp documentary on the wonders of the universe.” Although different in important ways, it’s clear that Denby has inherited a lot that’s admirable about Kael’s style. The trends may be bad, but as the list of better movies examined here demonstrates, great work continues to be produced. Richard Linklater’s Boyhood, which I reviewed last week, is a case in point. An institutionally unlikely, conceptually original, emotionally profound movie, one can only hope it’ll prepare the ground for works of equal or even greater imagination and humanity. Just make sure you see that instead of Godzilla.